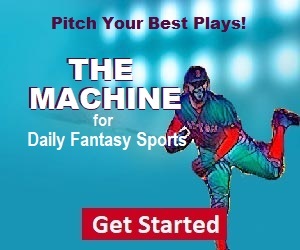 ASL Fantasy MLB News breaks down the latest MLB player news and gives you free fantasy baseball advice. MLB spring training is just around the corner and ASL's Joe Buttgereit has the skinny on which first basemen to target, avoid and put on your watch list. I understand where this ADP is coming from, somewhat. Abreu had a very disappointing season in 2018, slashing just .265/.325/.473. Both the BA and OBP were career-lows, and the SLG was the second lowest of his career. It was also the first season in which he failed to hit 25 home runs and drive in 100 runs. In his first four seasons, however, he was a mainstay in the top-3 at the 1B position. He carried a .301 average, averaging 31 home runs and 102.5 RBI. I can see a bounce-back this season. The White Sox are on the upswing, with Abreu remaining as the cornerstone of the lineup. I have Abreu ranked 3rd on my list of first basemen heading into 2019 and I firmly believe 2018 will remain the anomaly of a stellar career moving forward. Muncy was one of, if not, the best story of Major League Baseball in 2018. His breakout season played a major role in the Dodgers getting back to the World Series for the second year in a row. After two seasons in Oakland in ’16 & ’17 in which Muncy hit .195 and just five home runs, he flipped that into a 2018 campaign where he slashed .263/.391/.582 with 35 home runs and 79 RBI. The reason I’m skeptical is he had 104 total hits, with 54 being of the extra-base variety. I find it very hard to believe that’ll continue. It’s possible that the extra bases remain the same while the hit total goes up; but I’m not willing to risk an early draft pick on a player with such uncertainty. I like Muncy’s versatility with five eligible positions, however, he’s being drafted much too early for my liking. I currently have him ranked 26thamong eligible first basemen. Alonso has an excellent chance to break camp with the Mets as the starting first basemen on Opening Day. Last season was a mixed bag; he split the season between evenly with 65 games in AA and 67 games in AAA. There was a startling difference in his slash lines going .314/.440/.573 in AA and .260/.355/.585 in AAA; however, the power numbers increased after the promotion. It’s very likely that we can expect the latter slash lines in the big leagues, but the power numbers should translate. Alonso is certainly a valued target in dynasty leagues but should be monitored very closely in re-drafts as a late-round/post-draft sleeper. As always, follow me on Twitter @joebuttgereit for fantasy news and nuggets!